The chapter reviews the syntax to store machine-readable annotations and describes the mapping between rule-based modelling entities (e.g., agents and rules) and these annotations. 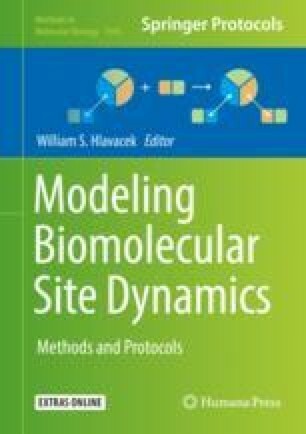 In particular, we review an annotation framework and the associated guidelines for annotating rule-based models, encoded in the commonly used Kappa and BioNetGen languages, and present prototypes that can be used to extract and query the annotations. An ontology is used to annotate models and facilitate their description. The Engineering and Physical Sciences Research Council grant EP/J02175X/1 (to V.D. and M.C. ), the European Union’s Seventh Framework Programme for research, technological development and demonstration grant 320823 RULE (to W.W., R.H-Z, V.D. ).